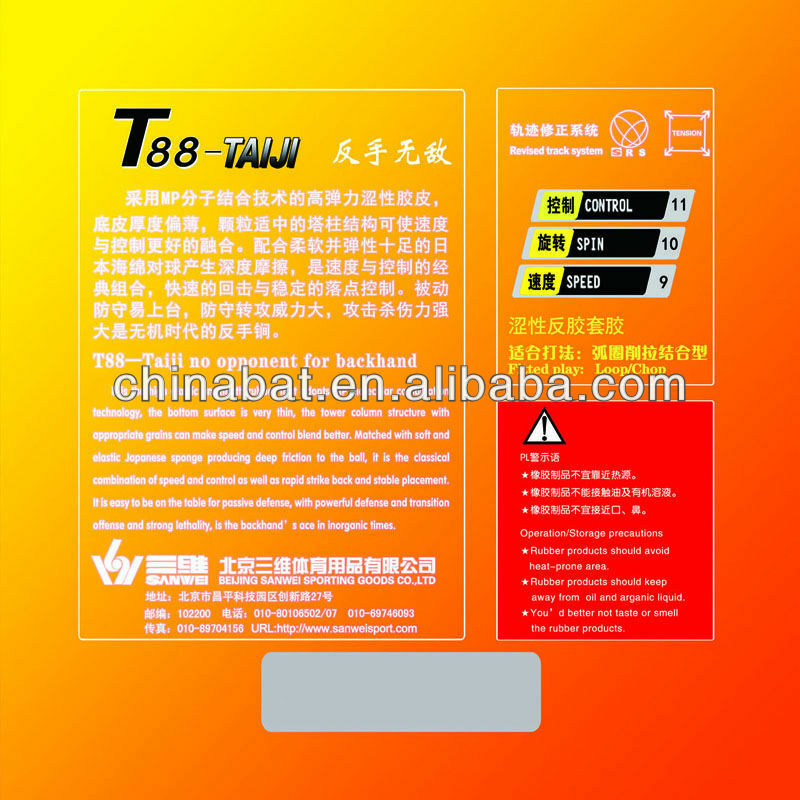 Custom and Cheap ITTF Approved Sanwei T88-TAIJI pimples in table tennis rubber / cover Supplier and Manufacturer.--Beijing Sanwei Sporting Goods Co., Ltd. The unsmooth rubber adopts newly molecular structure. 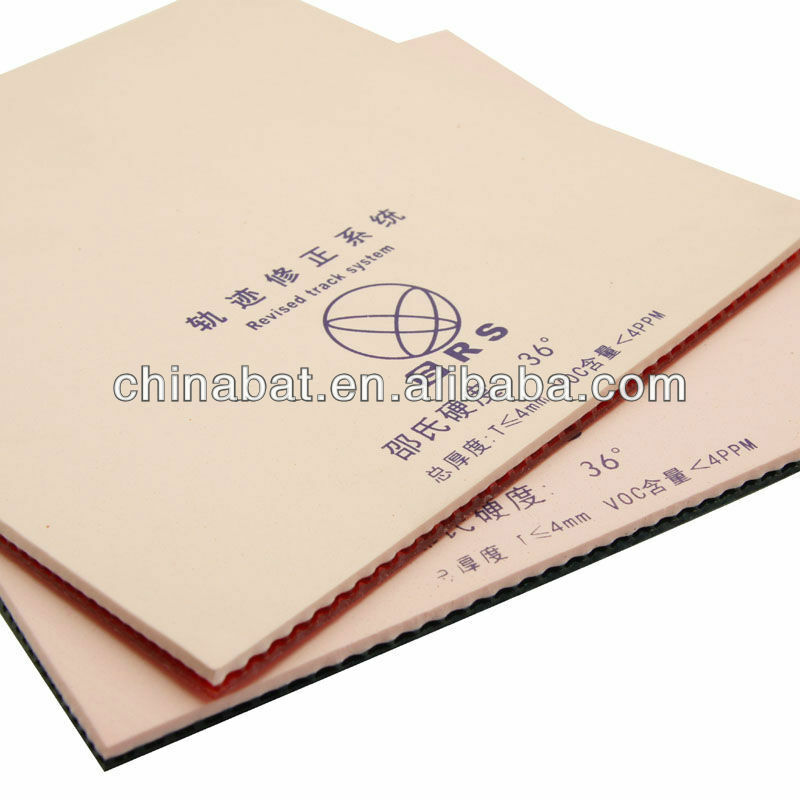 Sponge is soft and elastic; produces deep friction, breath effect is obvious, grasping ball is stable. It is easy to be on the table. It is suitable for control loop type playing which is mainly backhand. The light rubber matched with multi-carbon makes if produce best effect tht is exquisite, soft and hard.